Former RBI governor Raghuram Rajan has also urged all political parties to come together and agree to shun farm loan waivers. New Delhi: Loan waivers and government-imposed credit targets for banks are signs of a lazy government and should be avoided at all costs, former Reserve Bank of India governor Raghuram Rajan said Friday in a note on banking reforms. Rajan’s remarks come amid reports that the Narendra Modi government was likely to announce a farm loan waiver to the tune of Rs 4 lakh crore ahead of next year’s general election, after farmers’ woes were cited as a primary reason for the defeat of the Bharatiya Janata Party (BJP) in assembly elections in the heartland states. A populist sop, farm loan waivers have long been a favoured tool for successive state and central governments to quell farmer disenchantment, although several experts have questioned their long-term viability. Making the situation more precarious for banks is pressure from the government to meet lending targets to ease credit flow to various sectors. 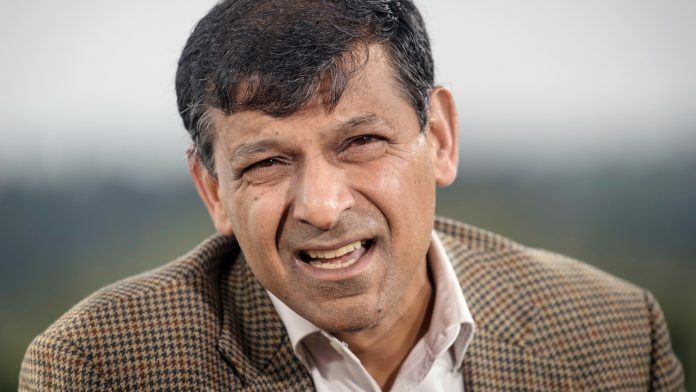 Rajan’s note was published on the University of Chicago website ahead of a conference of economists in New Delhi in which he is participating. “Finally, it does not draw the private sector in to compete for such activities,” he wrote, adding that the government should incentivise all banks to take up activities and not impose them on a few, especially as the privileges associated with a banking licence diminish. Rajan also sought to highlight the associated risks. He added that agriculture needed serious attention, but not through loan waivers. “An all-party agreement to this effect would be in the nation’s interest,” Rajan said. Rajan, along with fellow economists Abhijit Banerjee, Gita Gopinath, Neelkanth Mishra, Karthik Muralidharan, Eswar Prasad and Sajjid Chinoy, has penned a five-year economic agenda for India that covers a host of issues, including macroeconomy, health, education, banking reforms and infrastructure. In his note, India’s former top banker also batted for well-capitalised state-run banks and more professional boards to appoint their CEOs. “Public sector bank boards are still not adequately professionalised, and the government, rather than a more independent body, still decides board appointments, with the inevitable politicisation,” he said. Keeping PSBs well capitalised, is “simply a good accounting practice, for it prevents the government from building up contingent liabilities on bank balance sheets that a future government will have to pay for”. It’s high time this guy stops sayung anything and everything.It is always easy to be in USS and criticise economic policies..The hypocracy is visible when as head of committee to advise for financial reforma he asked for separation of debt management and monetary operations which he backed off when joined govt. Raghu Ram Rajan is feeling nostalgic and itching to get back to India, that’s why he’s using polite expressions like “lazy” government. He doesn’t want to antagonize any powers that be. I do not see why Dr Rajan is against farmers’ loan wavers. In corporate world they have a smart word for it: haircut. So many cases have been read about in the newspapers where banks have taken a “haircut” of even 60 percent. That means writing off 60% of the loan plus the “dreamt” interest on it. Why not take 100% haircut on a farm loan when the loan is nowhere as big as the corporate loans? Actually, the “bank loan” itself is not something that kills a farmer — it is the PRIVATE lender’s loan that costs 3 or 5 or 10, any arbitrary percentage PER MONTH that drives a farmer to suicide. But no one wants to talk about that, because that would amount to eradication of private lenders who are friends with all political parties. Why not some corporate giants combine business with philanthropy and open LENDING KIOSKS in villages?